Join us for a different kind of event, an educational dinner! PhD student Erven Lauw will be speaking to us about "Why and how increasing female participation in the government reduces corruption and increases economic development". 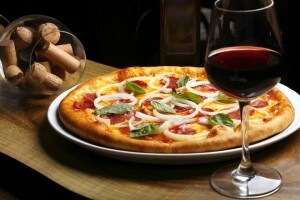 Whilst you listen you can enjoy different varieties of pizzas and drinks. Followed by a group discussion on the topic.We guarantee this to be an overall great evening! After the discussion we will head for ACHIK's Launch Party!